What is Priority Software ? Priority Software offers a number of solutions with various features that make it a perfect software for almost any type of business. The Priority Enterprise solution is designed especially for large and multinational companies to help them improve their enterprise asset management function. The Priority Pro solution is designed for medium to large scale companies that effectively manages finance, HR and logistics function. 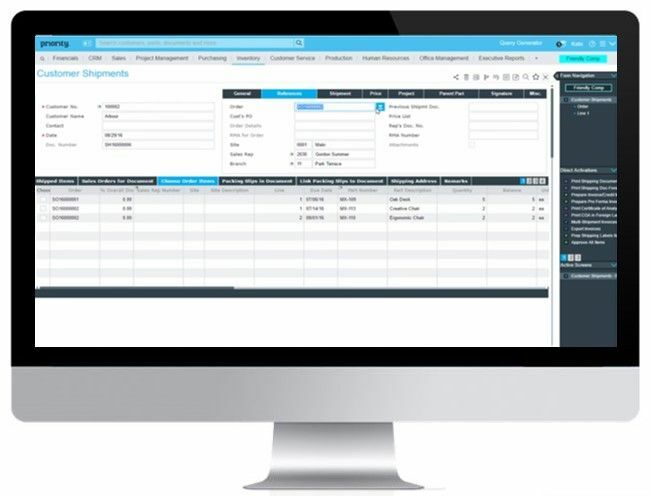 For small companies of up to 10 users, the Priority Zoom solution is offered that is very efficient in managing your CRM, finance functions and a lot more. The Priority Time and Attendance solution helps you in managing the employee attendance and absence data. How much does Priority Software cost ? Priority Software provides a custom pricing for their software. Cloud ERP - All Priority solutions are available as either on-premise or as a SaaS (cloud-based) model. 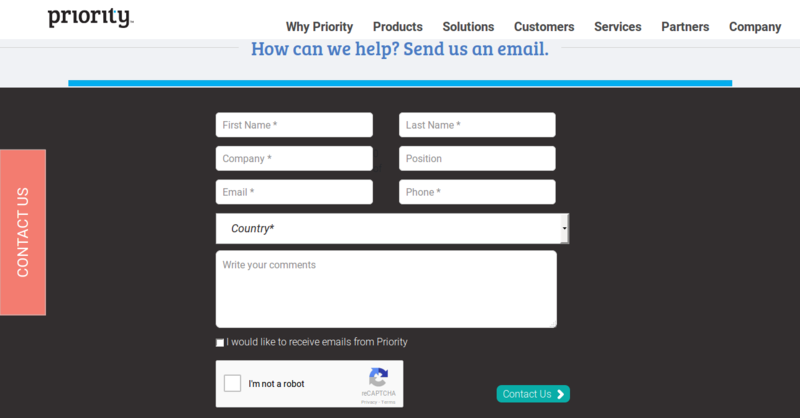 "Priority Pro - not the best "
It's a very simple design, not too many inputs required - at least the way we've configured it. I use it every day on the inside sales force, it's more difficult for the outside reps.
Not very intuitive, took a while to really learn the ins and outs. I guess I'm spoiled on SalesForce - but that does too much, too many reports! Once you get used to it, it can accomplish all your goals of an ERP - again, I only rely on it for CRM. It's a great solution for a small to mid-size company. I think larger companies will want more out of it, especially if they have large outside of office employees. I use it as our CRM - keeps track of prospecting and opportunities from start to close. It's useful to keep track of contact management, notes on progress, points of contact and opportunity progress. Using this for business is worth it . It’s very user friendly and the response is accurate. Wanting to explore more features with this software. Looking forward for an upgraded features in order to use it convenient to the customers. Also I observed that theres no report generator for goods received. I am very recomand this programing ! Very small learning curve, it's quite easy to start using right of the bat. It's good for small businesses and is a one stop shop! Customer support team isn't very personable and can be improved. It look me days to get a response for a technical problem I was facing. User interface is not the most intuitive. Sometimes you get an error and don't have the slightest idea what to do in order to correct it and you can get stuck in a loop until you figure out what you did wrong. The best SME software I've come across in 40 years in business. Pros: Ease of use. Cloud based. Customisation of forms and reports. Eae of accessing business information. Cons: Nothing of significance. More control over the layout of printed documents such as invoices and would be nice to have. This software is a great tool for the many functions it has. Pros: It's very user friendly, it's very easy to work with and the customer service response is very fast and accurate. Cons: It's has many great features, on some of our computers the software uninstalls repeatedly and we have to re-install very often this is something that needs work on. Very easy to use and convenient for everyone who are going to use. Great for customization and Support Team has been always accommodating. Pros: Very easy to use and convenient for everyone who are going to use. Great for customization and Support Team has been always accommodating. Comments: When I compare the three systems, one or the other may be slightly better (in my opinion) than the others in a particular process, but this is the normal minor trade-off between packages. Pros: This is the only product on the market we found that could truly do 1) on site service calls (with mobile interface), 2) product with labor component added (VAR), and OEM, all in the same system, without customization. All the competing software systems were focused on VAR and OEM, but no thought had been given towards including the companies who provide billable (as apposed to warranty VAR/OEM) services. Since our company does all three, this was the only solution, but we paid for a live two day demo at our headquarters and were very pleased with the live demo. We had supplied some of our real data in advance of the visit, and that data was set up in a live demo account on their cloud, so we could see our own data flow through a working system. This is the third ERP system I have worked in, and it is far superior in ease of use than either of them.